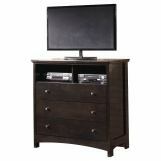 Harmony dresser . 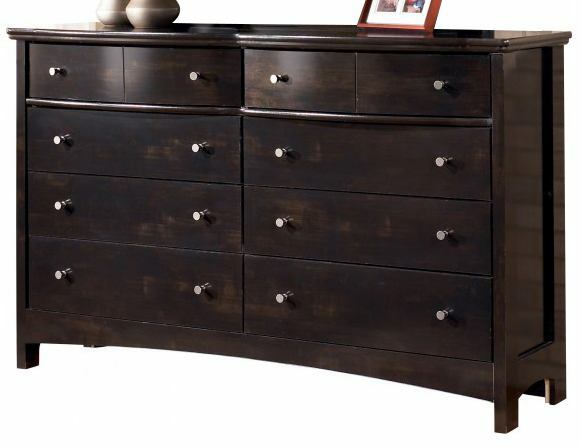 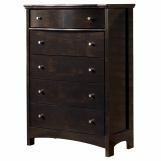 Incorporate sophistication to your bedroom with this beautiful, contemporary styled eight-drawer dresser with two curved top drawers. 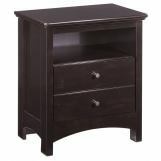 The eight drawers feature side roller glides that allow for smooth operation while providing ample storage for your clothing, essentials or extra bed linens. 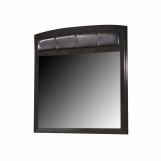 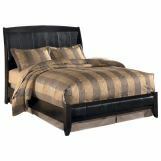 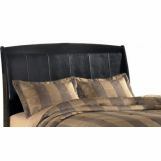 With the deep black finish accented with a subtle golden brown undertone and its wide swooping base rails, this piece perfectly complements the rich, contemporary design to fit flawlessly into your home.